Breakfast all day at McDonald’s means Egg McMuffins in the morning, hash brown bars in the afternoon and hotcakes in the evening. Of course, if you have a stocked fridge, the option of eating breakfast at any point in the day was always available to those willing to fire up the stove. This morning, McDonald’s, after years of saying it never would, started serving breakfast all day. That means Egg McMuffins in the morning, hash brown bars in the afternoon and hotcakes in the evening for all of America (unless you’re in the South, where Sausage Biscuits replace Egg McMuffins on the all-day breakfast menu). Of course, if you have a stocked fridge, the option of eating breakfast at any point in the day was always available to those willing to fire up the stove. Here, seven recipes for your own all-day breakfast menu that mean never having to wait in drive-through line. 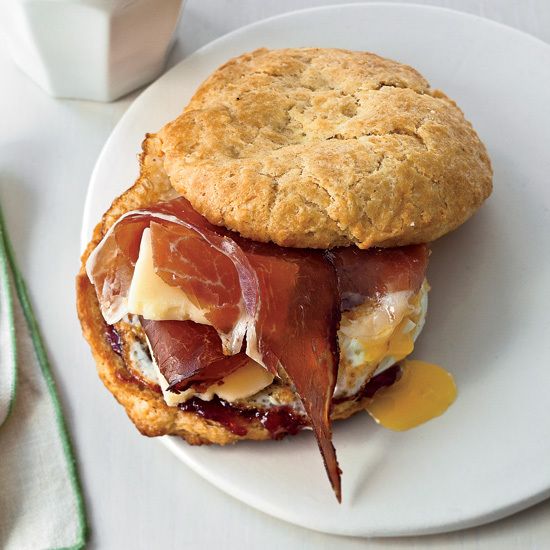 A giant step up from the standard fast food breakfast sandwich, this biscuit is topped with eggs, cheese and country ham. 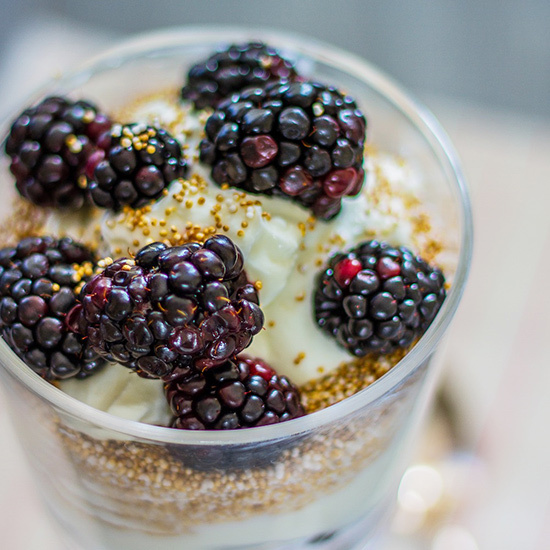 Popped amaranth is a great way to add crunch to yogurt with fresh berries. 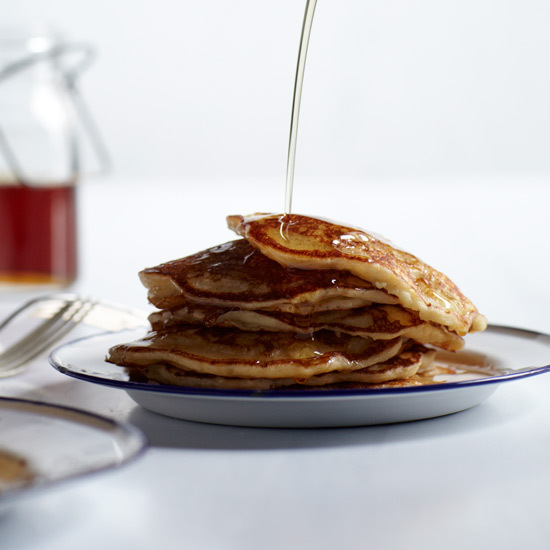 “These are the best pancakes you will ever have,” chef Alex Stupak says. They’re light, fluffy and full of corn flavor from the masa harina (corn flour). 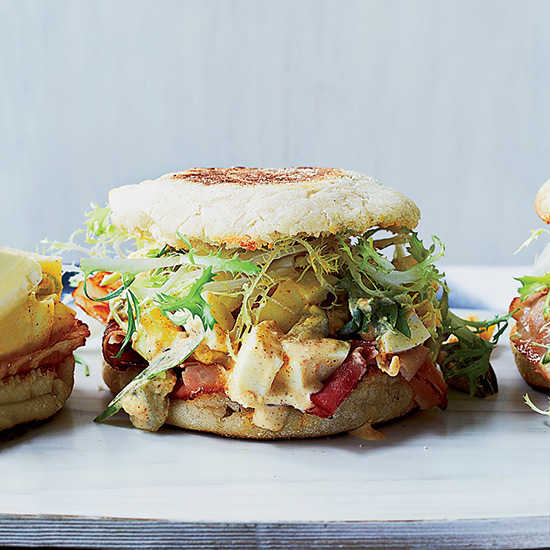 This irresistible breakfast is a hybrid of an egg salad sandwich and an Egg McMuffin. It combines spicy, pickle-laced egg salad on a toasted English muffin with warm smoky ham and crispy frisée. 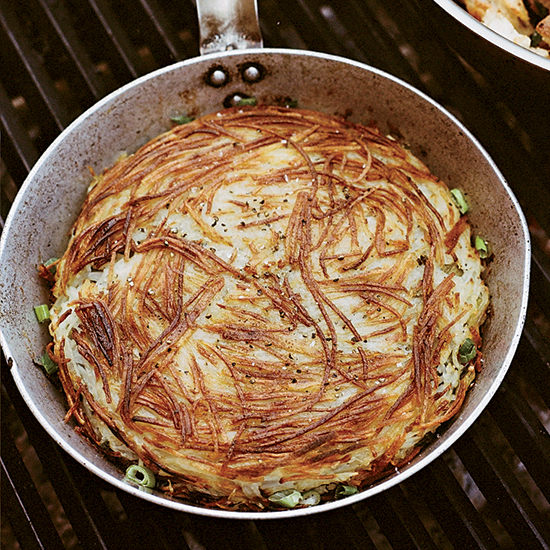 This skillet-size hash brown was inspired by a side dish at the beloved Tornado Steakhouse in Madison, Wisconsin. 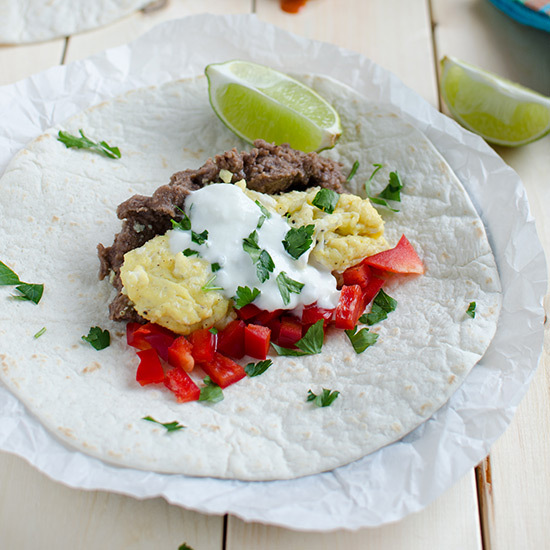 These fast and simple burritos are stuffed with scrambled eggs, refried beans, red pepper and sour cream. 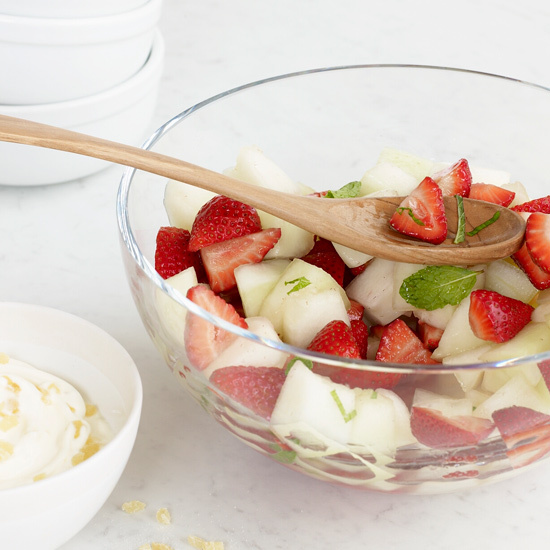 Chiles add subtle heat to this exceptional fruit salad. Bonus: The leftover syrup is great in a cocktail mixed with rum.